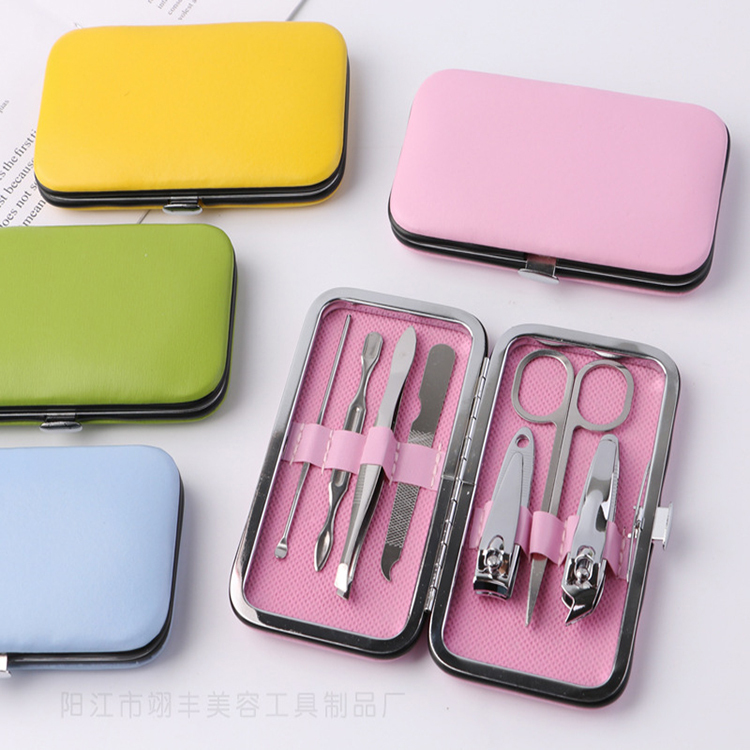 7 pieces carbon steel manicure set easily for carrying packed in leather case, Manicure set contains Cuticle Clipper, Stainless Steel Scissors, Digger File, Nail Clipper, Cuticle Pusher, Nailfile, Tweezers. This manicure kit is ideal for traveling and promoting! Package: 1 pc/opp bag, 250 pcs/ctn, 66 lbs/ctn.